Are you hosting a Halloween Party this year and want to create a spooky atmosphere? 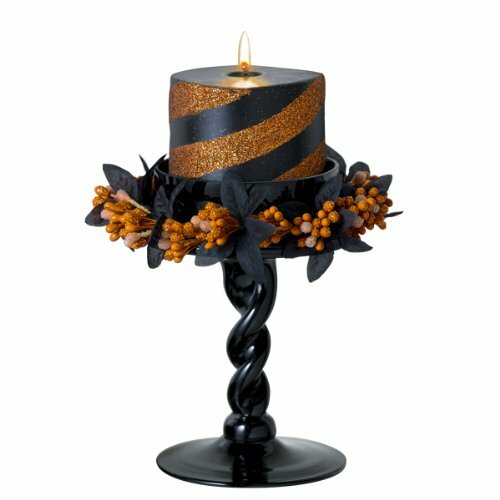 Then our Halloween Party Decorating Ideas are going to make for a great event! Like any holiday celebration, Halloween parties take preparation but not just when it comes to the food, party favors and the guest list. One of the most important elements for making a Halloween party successful would be providing the perfect spooky environment that really captures the spirit of the holiday and makes your guest feel like they’ve entered into a completely different world (or underworld for that matter). If you are looking for new ways to make your home spooktacular for your upcoming Halloween party then you are going to love these Halloween party decorating ideas that you might in fact want to use for the occasion. 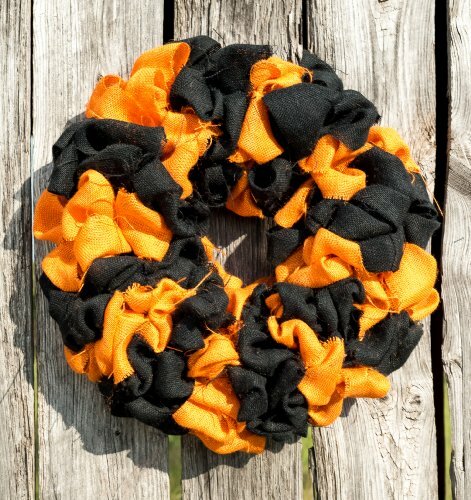 What better way to greet your arriving guests than with a tasteful Halloween wreath made from venomous black snakes? This would definitely be a Halloween decoration Medusa would be proud to display on her front door. 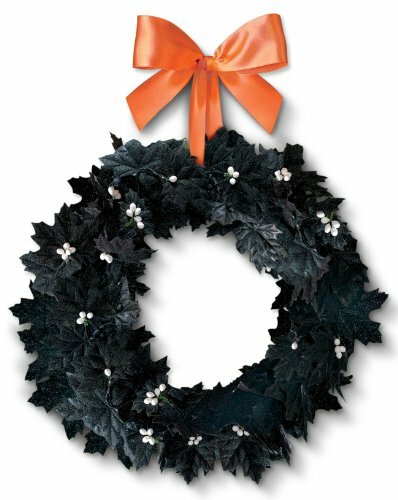 It’s a wreath that’s dark, eerie, and will literally makes your skin crawl…just like the snakes that are featured on it. 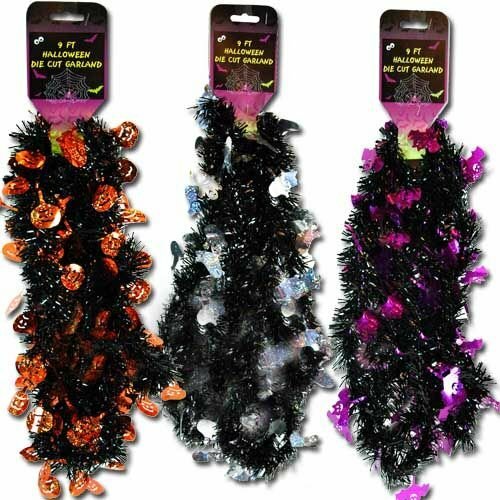 Garlands are a convenient way to string up all your favorite Halloween elements in one long decoration that covers a lot of ground. You can place Halloween garlands practically anywhere; on your fireplace mantel, suspending from the ceiling, displayed on tables, draped on stair railings, and so much more. You can even wear them around your shoulders if you think your costume needs a little accessorizing. 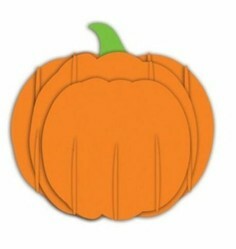 Pumpkins make great center pieces because they come in all sorts of shapes, colors and size. Their variation draws attention and offers the eyes an enticing and enjoyable display. They’re also very easy to customize to whatever theme your Halloween party is. Carve them with images of witches, paint them to look like bloody decapitated heads, or create traditional Jack-o-lanterns but with a Zorro twist by putting on sophisticated looking black masks. 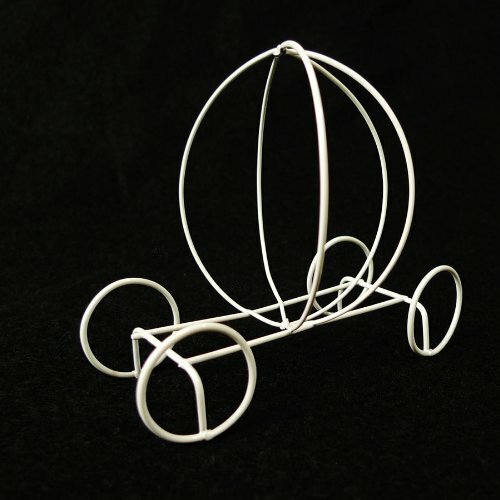 The possibilities are endless and you might even want to try a pumpkin carriage centerpiece. Spiders, you either love them or you hate them or you’re like a percentage of the population who are so deathly afraid of them there’s even a technical name for the phobia, arachnophobia. 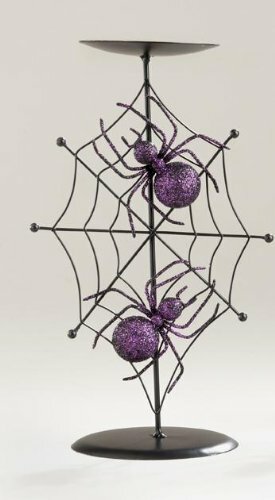 No matter what your personal views are on these eight legged creepy crawlers there’s no doubt that they make wonderful Halloween decorations. And the best way to display spiders on Halloween is in their natural element which would be hanging from a web. Have you ever seen those movies when unsuspecting individuals walk into an old abandoned home and all the furniture have been covered in ominous white sheets? Well that concept would make for an awesome party décor. Covering your furniture in main areas with plain white sheets will really evoke the feeling of creepy haunted house. Plus they’re great for protecting your furniture from the spills, crumbs and accidents that might occur during the festivities. Lighting really creates the mood inside a home and candles are the ideal lighting during Halloween. They create low lit warm glows that makes the homes feel inviting yet spooky at the same time. Step it up a notch with scary looking candles that come with extra details like dripping blood or candle holders shaped like dismembered human hands. While hanging family photos of you and your children are nice, it just doesn’t have the right Halloween element to them. During this season, temporarily take down those happy cheery family portraits and replace them with more insidious looking displays of skeletal figures, creepy old photos from the earlier centuries or anything that looks frightening. Although some would argue that their family portrait featuring matching Christmas sweaters would often get a few screams in which case they could work fine with the Halloween theme. It’s all about creating that shock and awe experience when it comes to decorating your home for a Halloween party. And what better way than an amazing table display featuring a spooky halloween tablecloth, smoking cauldrons, candelabras covered in spider webs, potions in bottles, and grotesque looking dishes to really creep out your guests, but in a good way. 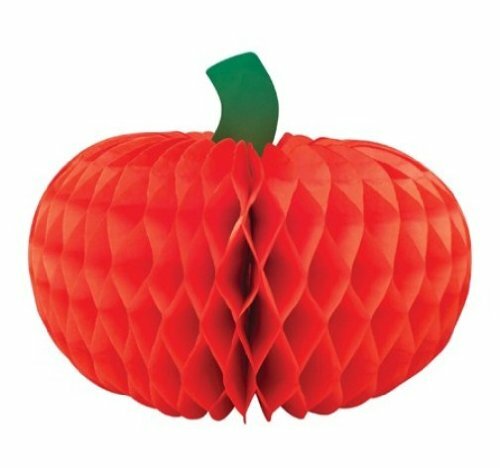 Kids love Halloween and they also love Crafts! So what better than combining the two and keeping them entertained and involved with some Easy Halloween Crafts for Kids this year? Spooky Costumes make the perfect Halloween Costumes for men and boys who like to scare at Halloween! So let's take a look at some Spooky Halloween Costumes! Halloween 2017 will soon be upon us! What are you planning for Halloween this year? Is your Costume ready or have you still to buy it? Have you got your Halloween Costume ready? Which Is Your Favorite Halloween Party Decorating Idea? Halloween doesn't have to be all about scary costumes and spooky does although they can be fun! This year let your kids enjoy themselves with fun and novel Halloween Costumes! Whether it's for Halloween or for a Fancy Dress Party rather than going for something that scares the wits out of people, I much prefer Fun Halloween Costume Ideas.